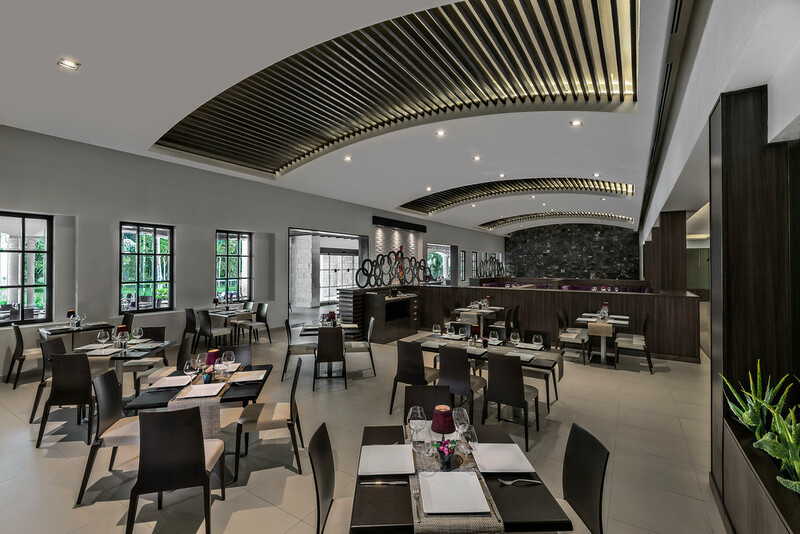 Caribbean meets Mediterranean at the newest restaurant at the resort. 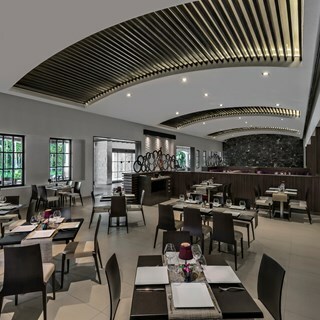 Savor the experience over espresso with breakfast and a la carte dinners, ranging from delectable soups, homemade pastas and oven-brick pizzas, to traditional Italian dishes all made fresh from authentic recipes. Like a true trattoria, we offer an extensive selection of over 50 wines from the most distinctive regions of Italy as well as a fresh, classic antipasto bar. Francisco and Miguel were our wait staff and they were friendly, quick, and and provided excellent service. Restaurant looked new, atmosphere nice, and food delicious (especially the swordfish). Would highly recommend. Miguel, as a new waiter at el Cid did a remarkable job. Exceptional I must say. Best food and drink ever. Great place to enjoy a meal. Great way to start our El Cid vacation. Great food and service beautiful restaurant. We will be back. Best service so far this week. Very prompt and enjoyable service. They ask if you have food allergies, but did nothing about it in comparison to other restaurants. We asked for a menu after as portions were small. The waiter recommended a dish and then didn’t return so we went to the Mercado. It was good food wise. Great atmosphere, food and service! We had reservations for 2 nights at your restaurant during our week stay. We also had breakfast there several mornings. Everyone was always friendly and the food and service was exceptional! I was hesitant to book here after reading a couple of negative reviews. My fears were unfounded. Delicious food and friendly, professional service. I canceled reservations elsewhere to eat here again. I was, however, horrified to see a few USA citizens show up to dinner in shorts and t-shirts. Take yourself to McDonalds if you are not prepared for fine dining. This is a high class eatery, not Bob‘s Tavern. Show some class and respect;  represent yourself and your country with pride. Le swordfish est un ou le meilleur poisson que ma femme a mangé. Very attentive staff and excellent food. Staff is incredibly attentive and friendly. Lasagna, calamari, and pasta scampi were delicious and awesome. From the oven baked bread to the last bite of dinner we enjoyed ourselves immensely and everyone was just great! Food was amazing, service was great! I’m proud of this restaurant as an owner at ElCid. We had a small misunderstanding with how the menu reads. Assumed the Calamari listed below the risotto meant it was a combined dish. House wine is nice & swordfish is to die for! Risotto was okay, calamari was great & the steak was salty. Small table for 4 people which was awkward. Swordfish was excellent. House wine was very nice.